Here's our guide on how to track down, and slay the Legiana in Monster Hunter World. The Legiana can certainly be one of the more aggressive creatures in Monster Hunter World. In this complete Monster Hunter World Legiana guide, we'll be providing you with all the information you could possibly need to know about taking on this powerful creature. But if you instead need anything else at all on Monster Hunter World, including how to quickly hunt down monsters using the Scout Flies, as well as how to easily capture a monster, head over to our Monster Hunter World guides walkthrough hub. The Legiana can frequently be found in the upper reaches of the Coral Highlands, most often in areas 12, 13, and 15, the last location of which is the actual lair of the monster. You can sometimes find traces of the Legiana as soon as area 8 on the Coral Highlands map, most of which will be scratches, gashes, and footprints, all of which will always lead you up the nearby vine, and to area 12. Oddly enough, whereas other monsters will usually fight each other on sight, the Legiana will nearly always ignore other monsters in favor of attacking you. This doesn’t actually happen that often however, as other monsters in the map like the Tzitzi-Ya-Ku will never come as high as area 12, so the monsters it’s most likely to encounter is the Paolumu. Still, the Legiana will often flee from battle as soon as the going gets tough, retreating to higher ground in area 13 or 15, or going to the lower ground in area 8. The Legiana can actually be one of the more difficult enemies to engage in Monster Hunter World, since it quite often hovers just above the ground and rains down Ice attacks on you and your Palico. Keeping this in mind, you’ll want to take weapons with you that have a decent reach, and not short weapons like the Dual Blades. A Switch Axe or Long Sword are effective weapons to use, as are weapons like the Insect Glaive and the Bow, since they all have decent attack values and range. Since the Legiana is an Ice-based monster, Fire is a great element to use against the beast. 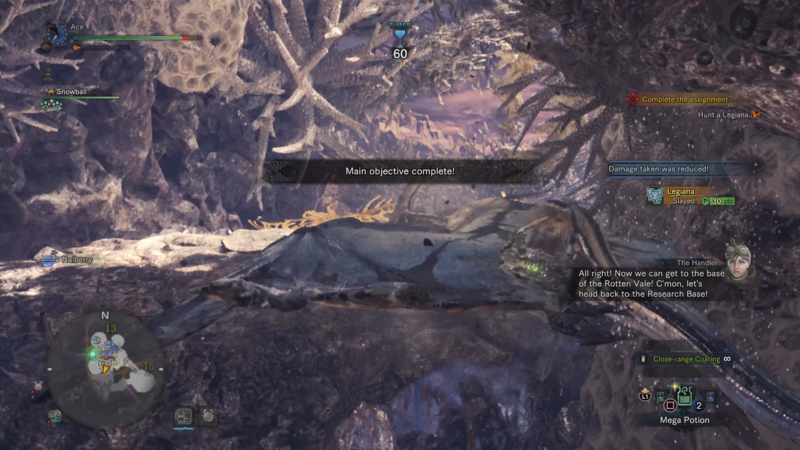 Although the tail of the Legiana can’t actually be chopped off by a bladed weapon, you can still deal massive amounts of damage to the monster by aiming for the beginning of the tail/legs area, especially when the Legiana is temporarily stunned and lying on the ground. 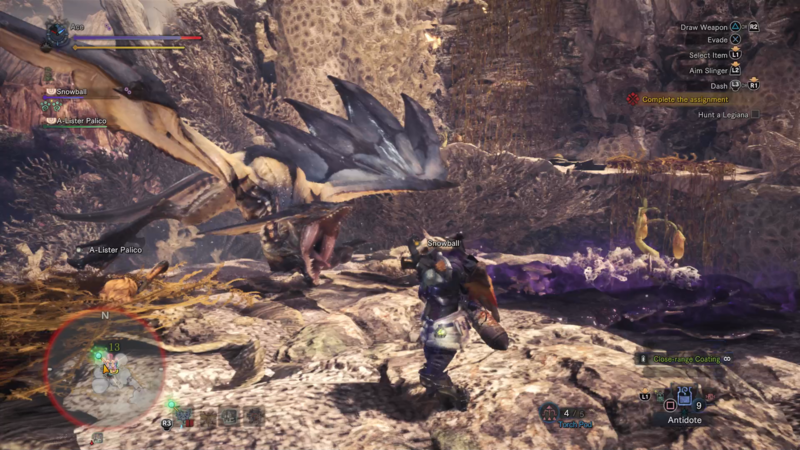 Although you can disable the Legiana’s flying ability by dealing enough damage to one of its wings, the monster moves around so quickly that you’ll have trouble landing a few solid hits on the wings of the beast. A good tactic is to try and aim for its head to stun it with a heavy weapon, or circling around the monster, letting your Palico draw its attention while you land a few quick hits to its legs. 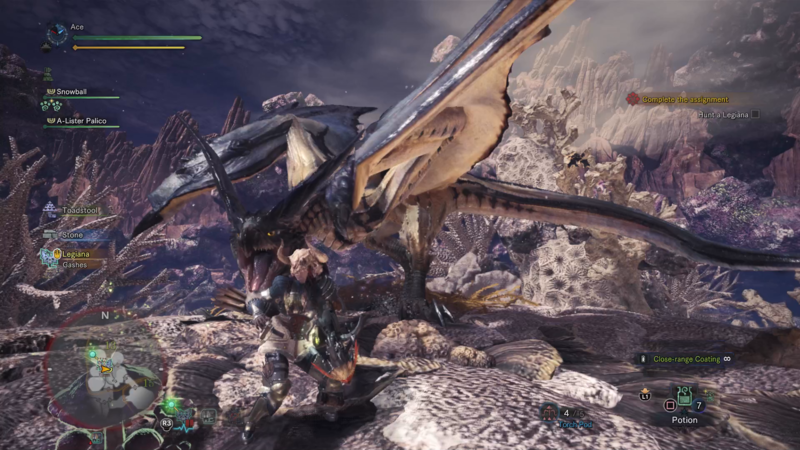 As long as you keep your distance and avoid the Ice attacks of the Legiana while it’s in the air, this monster shouldn’t pose too much trouble to the seasoned Monster Hunter World player. Now that we’re all done with our guide on how to take down the Legiana, why not check out our other Monster Hunter World guides, including our complete armor guide, as well as our guide to killing an Odogaron.